The speed limits for major cities in Canada lie in a gray area, with law enforcers and commuters being keenly aware that few drivers actually obey the rules. Most tend to exceed the speed limit in order to keep up with the flow of traffic. Whether you’re driving a sports car like a Viper or a hatchback like a Yaris, you are probably driving “too fast.” Therefore any vehicle has the potential of violating the limit without firm conviction that they have done anything out of the norm. And that is what causes frustration for the majority of drivers, especially those that get pulled over. An ambiguous law or a law enforced without consistency is not only a nuisance, but also a blemish on society. Determining and understanding the thin line between acceptable and criminal is a large step toward mitigating accidents, recklessness and ignorance. But should the speed limit actually be increased? Although speeding is a major problem, most drivers generally follow the pack. If the pack travels safely at 70 km/h in a 50 km/h max zone, it is not the drivers who need to change; it is the law that should be reconsidered. Right? Not necessarily. It seems that a speed limit is a very subjective thing. When it comes to the comfort of a driver, many consider it safer to drive a bit faster than to drag behind on a freeway. It’s important to note that police understand this phenomenon as well, and often only pull drivers over who are “excessively” speeding; that is not just keeping up with traffic, but aggressively challenging it—changing lanes and slipping through—trying to break ahead of the pack. To raise the limit to 70 km/h in a former 50 km/h zone may give many less-skilled drivers anxiety, while bumping up the excessive speed limit to 90 km/h, instead of a steady 70 km/h. The excessive speeders will simply go faster, causing an even riskier outcome. What other countries are doing differently? Many developed countries have reputations for being safe places to drive, including Denmark, Netherlands, New Zealand and Sweden to name a few. In 2009 rankings done by the World Health Organization, Canada was ranked 25th out of 178 countries with the least amount of traffic-related fatalities. Why aren’t we number one? What can be changed? The countries ahead of Canada in the rankings don’t fine drivers more or have an unreasonable speed limit. Instead, those countries are stricter when it comes to drivers’ skill evaluations. Countries that enable drivers to operate a vehicle with minimal skill requirements tend to have the higher percentage of accidents. Safety features and road safety also play a major role, but if Canada would like to be ranked higher, we would not only need to change the behaviour of our drivers, but our educational standards as well. You can view the full list on this site. Are there alternatives to adjusting the law? Regulating traffic has changed a lot since the dawn of the automobile. Cameras and speed traps are often used to enforce the law. With the advances in technology, the Province of British Columbia, for example, has installed induction loops and speed counter-classifiers into the streets to measure traffic patterns. These additions record the speed of all the vehicles passing by, accumulating data such as traffic volume, daily speeds and the percentage of vehicles exceeding the speed limit. This information is then used for research. Some believe that examining the problem is not good enough to solve it, however. Many indications show that with a consistent implementation of traffic laws 3,000 daily deaths worldwide could be avoided. Those who were caught speeding and suffered a severe fine or a light sentence are at a lower risk of being involved in a fatal accident. Other researchers deem that going slowly and following the rules is the best way to advocate safety. SENSE BC, an organization built around the premise of educating drivers and not simply regulating them, considers a more liberal approach. On a graph entitled “Speed Variance and Crash Risk,” the stats show that collisions are actually more common at a slower speed. Most accidents are minimized when drivers are 10-15 km/h over the speed limit, which contradicts a lot of popular beliefs. Are low speed limits the real problem then? Or should we blame bad drivers, low-quality roads and poor weather conditions? Many factors come into play when an accident occurs—so it’s not simply the speed. Weather, time of day, negligence, etc. are all worth considering when an accident occurs. Having the speed limit where it offers room for flexibility is probably the best option at the moment. 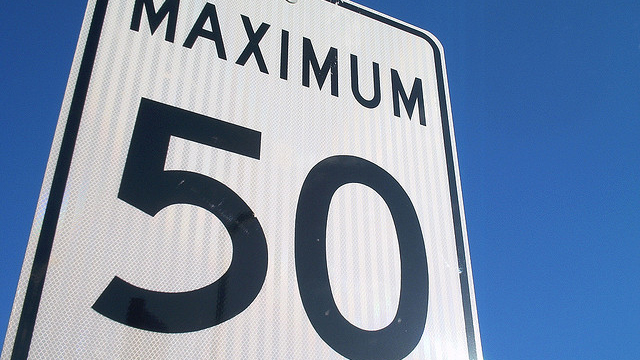 Perhaps highway maximum speed limits can be adjusted based on factors like time of day, weather conditions or the driver’s skill level—like in the case of school or park zones. For example, we can have an 80-km/h limit during peak rush hours, a 100-km/h limit from dusk to dawn, etc. When safety is at play, we shouldn’t take anything lightly. It’s natural for some to say that the speed limit should be raised, but there are too many drivers of different skill levels on the road to determine whether the implementation will actually improve the roads for some without hindering others. Driving is not simply about getting from one place to another, it is a public display of your identity. Because of that—and human’s unfortunate obsession with categorizing people—stereotypes emerge. It’s true, at every intersection, on every road and at every parking lot, stereotyping happens. But which ones are based on truths and which ones are just our own prejudices? Which ones are valid and which are our ignorant negativity? Are Jeep drivers that much different than Mazda drivers? Surely quality driving is not only skin-deep. True. Hate to say it, but there is actually some validity to this stereotype. According to a studyconducted by the University of Michigan, men and women get into approximately the same amount of accidents in six scenarios that resulted in a crash. But where the scale is tipped is that men drive 20% more often than women. And crashes occurring between women and women are more frequent in a sample of 6.5 million crashes. False. Ethnicity and race has no implication on how one drives. A common assumption is that people who are born in other countries with different traffic cultures are unable to adapt to the North American standards and therefore cause accidents. If that is the case, it is still the person who is unable to or has declined to learn the culture, and he or she does not represent the collective. On the road, we may see one Asian driver in an accident, but we don’t notice all the other ones driving safely. It becomes a clear memory and one that can be regurgitated in moments of high intensity while driving. According to the National Highway Traffic Safety Administration’s Traffic Safety Report published in 2009, which you can view here, there is no clear determining factor between ethnicity, race and traffic collisions. True. In Canada, seniors of a certain age will have to reapply for their driver’s licence, take a vision test, and undergo a driving examination. It’s been proven that elderly drivers are more likely to be involved in right-of-way accidents, where it involves yielding to another vehicle. Researchers have found that mental, visual or physical impairments play a large role in a driver’s ability to concentrate. As those attributes deteriorate, so does the quality of driving. According to a 2002 Statistics Canada report, 19-24 year olds are involved in the highest rate of impaired driving, while MADD Canada reports show that automotive accidents cause the largest percentage of deaths in Canadians aged 15-25. Young drivers tend to feel invincible upon getting their new car, but the fact is that they are inexperienced—unable to make key judgement calls. The high percentage of speeding and driving under the influence amongst young drivers continue to warrant concerns. Depends. Yes, big pickup trucks are annoying, especially to those with small compact cars—we can’t understand why they drove such a massive beast to the shopping mall and took up two parking spaces—but there they are. We mutter “Douche” under our breath and move on. But having a vehicle of a certain type does not make you any more aggressive of a driver. While it’s true that the driver is the one who makes a choice to buy a truck and act as an alpha on the road, the rule doesn’t always apply. And for those of you with little cars, know this: pickup trucks are quite expensive to insure. It’s not uncommon for its insurance price to match that of a luxury vehicle. Gee, I wonder why. Then again, the driver might be totally cool and will help you move next time. False. Black, silver and grey cars actually have a higher risk of being in an accident, because of their inability to be seen through cluttered streets and low lighting situations. Red cars lurk around the middle ground in regards to being accident-prone. There is a lot of research out there, but nothing conclusive yet on how colour relates to accidents. Even insurance companies will admit that they don’t necessary charge more for vehicles in red. It is all just a myth. True. Studies done by Quality Planning, a company based in San Francisco has polled numbers and found that the car most likely to be ticketed was the Mercedes-Benz SL-Class, a pretty fancy piece of machinery that gets noticed. With four times the likelihood of being ticketed, those driving a two-door convertible are often those who can afford the fine. And they know it too, because 63% of luxury drivers believe they will get a speeding ticket if they are over the speed limit by 10 miles/hour. They have a right to be paranoid. False. Hating on hybrid and electric car drivers is the most perplexing phenomenon on the roads today. Many drivers of standard vehicles are feeling victimized in public parking places where spots usually reserved for the mass are now exclusive for hybrids and electrics. They would argue: Should a vegetarian get a better seat in the restaurant, because they are eating healthier? Good point, but maybe it should encourage people to go green. An episode of South Park famously mocked the smugness of hybrid drivers, as they cruise on by feeling high and mighty. I believe that eco-friendliness is something that should be commended, but not worshiped. I would rather have a snobby hybrid on the road than another reckless sports car enthusiast. Maybe I’m already green with envy. False. As we approach that pinnacle point in our life and ride the plateau into retirement, we often feel compelled to splurge. The cliché: a forty year-old businessman going against his wife’s wishes and buying a fancy vehicle. Yes, that sounds tantalizing and rejuvenating, but a car remains a materialistic possession. The initial feeling of joy will evaporate, as fees and maintenance builds up. It becomes a responsibility or a liability. But if you do feel the need to purchase a swanky vehicle, take your friends and family on a trip. That is where the memory happens. Fact or Friction: Should writers stay within their cultural know-how when it comes to fiction? Previously published in Ricepaper Magazine. Fiction writers face many challenges: plots, settings, and lack of coffee. 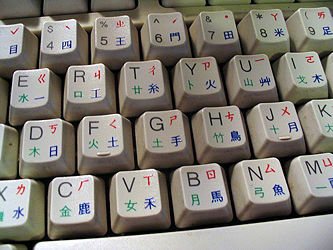 But one specific writing quandary has been puzzling established and emerging writers alike, and there doesn’t seem to be an easy “brew” button to solve it: what is the range of liberties writers have when they dare to construct characters outside of their cultural understanding? In a recent New York Times article, Roxanne Robinson, author of Sparta—a novel set in war-torn Iraq, a place she fictionalizes for her tale—reminds us that the line between fact and fiction, even in creative writing, is not always clear and should be approached with caution, empathy, and research. Are you a writer? What are your thoughts on this subject? Read Robinson’s New York Times articleHERE. One in five people currently owns a smartphone on planet Earth. That is quite remarkable, since five years ago I was convinced that I might never get one. I personally didn’t want to be a slave to my phone. But once I felt the sleek design of the iPhone 4 and engaged with the user-friendly interface, I knew that I wasn’t going back. I’m not sure if I’ve gone to the dark side or not, but my life has gotten significantly easier with a smartphone in my life. Embrace technology. Believe it or not, we’re already slaves to it. We rely on technology for every little thing in our lives, from making a cup of coffee to saving people from traumatic injuries. Technology is the hammer and nails that built our houses, as well as the app that tells us how to get to our friends’ houses. It’s true that hammers can be used maliciously just as the Internet can be, but as long as the number of good uses is greater than the number of bad, we can’t really argue with it. As mobile devices and wearables get more advanced in our society, it’s important for us to utilize it and learn as much as we can. The sooner we know how to operate it, the better off we’ll be. Technology does not have to be an addiction. Technology can also be a good habit to help you live a better, healthier life. Have you ever seen a child operate an iPad more proficiently than their parents or grandparents? It’s cute, but that bar is also being raised every day. Soon we’ll be the inept parents and grandparents, unable to update to the next version of iTunes on our Google Glass. We’ll be asking our kids and grandkids to help. While that might seem like the inevitable passing of the torch, I don’t believe our generation will suffer that fate if we continue to progressively learn and use new technology as it comes along. Sure, it doesn’t make sense for software and Facebook to change every few months for no real immediate purpose, but we shouldn’t judge technological leaps upon their inception. While many designers, engineers, and manufacturers are still working out the kinks for wearables, such as smartwatches and Google Glass, we should be excited for these new innovations—disruptive as they are. Everyone will have a smartphone one day, because it will become the standard as innovations continue to make strides. If you’ve been resistant to new technology for so long now, you probably won’t be convinced by me, but I’m just saying that the longer you go without it the more handicapped you’ll be should smartphones be imposed on you one day. Nugg, a workplace collaboration tool based in Vancouver, understands that every morning, consulting, IT, sales, corporate and communication team members across the globe wake up to the smell of coffee and the often tricky task of emptying their email inbox. Not surprisingly, the increased volume of digital correspondences has made it difficult to track key decisions, relay messages and identify success and failure throughout the course of a disorganized message thread. It is the standard, but it is far from perfect. Miscommunication or misplaced messages ends up causing impactful errors that waste time, energy and money. Nugg breaks workplace communication down into four categories: Focus, decide, track and align. This enables team members to mark each significant message as such, helping the whole team collaborate better and succeed long-term. It is not good enough for Nugg to simply operate on its own; it must work seamlessly with other platforms, not just forwarding emails, but also completing the round trip. If a worker wants to do everything on Gmail, they can, and that’s the beauty of Nugg. According to the work by Professor Alex Pentland of MIT Media Lab, truly effective teams have a high level of energy, engagement and exploration. Energy can be the act of discussing, brainstorming or negotiating, while engagement is the reaction to the energy, should it be a nod of comprehension or feedback to what has been said. Finally, exploration is the act of bringing in new external ideas that has yet to be present within the team. Nugg is currently promoting energy and engagement within workplace, while refining the capability to explore within the platform. Nugg wants teams to focus on the big picture by allowing the whole team to see what is happening above, below and all around them. The transparency of the application is an important aspect in terms of building a free flowing communication highway with the various company goals as clear destinations. I didn’t crawl under my table during the 6.7-magnitude earthquake near Vancouver Island on April 24. In fact, I didn’t even notice until my social media erupted with comments concerning the swaying of homes and buildings. I walked away from the situation slightly relieved that the worst that had happened was the reminder that I was spending too much time on the Internet and that I was so unprepared for natural disasters. But give me a break, it’s hard to think about the collapse of my city when I’ve got so many other immediate things to worry about—that’s right, I’m saying that I’m not the only one who didn’t go under a table or quickly locate the emergency kit. If you did feel the shake, you were probably too busy enjoying the novelty to notice what it was. Preparing for an earthquake is just not a human instinct. Still I don’t remember a time in my life where I wasn’t anticipating “the Big One,” the name of the megathrust earthquake that was prophesied to hit the Pacific Coast of Canada and the United States in the (very) near future. Images of Japan, Indonesia, and Chile remind me that earthquakes are nothing to joke about. Should it hit with the force predicted, my life would shift, like if I was diagnosed with a terminal illness. At this current state of preparedness, I just hope to survive if the Big One hits. The earthquake earlier this year was a reminder that our government, our emergency teams, and we citizens are never going to be ready for an earthquake. There is just no such thing as “ready.” There is no saying when it would hit and where you would be. Sure, there are protocols to follow after the incident and there are measures to be taken to mitigate damage, but aside from that it’s a crapshoot. I believe natural disasters occur with the consistency of lottery tickets—you might be lucky enough to survive or you might be less lucky. Individually, we cannot do much after an earthquake, but together we can pump money into funding that will help us survive in the aftermath. Emergency Management BC currently supplies $6.2 million of funding to “emergency services.” There is no plan to increase the figure since no one can really assess the damage before it occurs. Money is one thing, but having experienced teams prepared is another. Civilians need to know what to do after the earthquake. What would people downtown do? What would people on the coast of Vancouver Island do? What would people sleeping at home do? What about the people commuting on a highway? The government should go into some length explaining the proper procedures following the quake and the aftershocks. We need a plan we can all follow, because cluelessness will surely lead to chaos. I am often clueless without my social media—and lord knows I won’t have that after the Big One knocks out my Wi-Fi. Hiding under the table is one thing, but we need to know what to do once we emerge. I’m getting older in a secular society—or at least one that acts that way. I’m not sure if I’m simply surrounded by intellectuals who deem themselves unreligious, or if those who do have faith don’t wish to speak critically with me about it. I fear that the polarizing attitudes towards religion are causing a lot of built-up tension between us, and that the don’t-ask-don’t-tell approach to our spirituality is causing more prejudice than we would care to admit. While we have become more open-minded with scientific discovery, cultural differences, and sexuality, we are still placing unfair judgement on those who have religious faith. “I’ve felt it,” is a common reply I receive when I question someone’s religious belief out of curiosity, “you haven’t.” I feel a bit of shame when I get such a response, as if I’ve done something wrong, or I’m simply undeserving of the specifics. Perhaps both are true. Yet more often than not, the response seems to come from a defensive place, as if I doubt their values by questioning their faith. Which also might be true. If I continue to probe for more details, the conversation becomes more heated and contentious. It becomes an argument. Why is that? Why can’t we have an honest debate about religion today? Why do we still have our feelings hurt? When I ask questions about religion or about one’s spirituality, it’s not my goal to disprove them. I understand that it’s not a science experiment. It’s pretty clear now that nobody can disprove God. What I want to find out is why my dear religious friends and families, who I share so many similarities and interest with, cannot see eye-to-eye in this one particular area of life. I want to know why the concept of heaven can bring comfort to one group of people, while the concept of reincarnation can bring comfort to another. I want to know why some religions demand celibacy, while others nurture freewill. Yet when I ask these questions, I’m often met with contempt. On some occasions, I am welcomed into churches and temples to partake in rituals I know nothing about. I ask those around me what the process is all about, and the answer is usually “just because…” It’s a tradition. And that seems like a valid reason for religions to continue existing. It binds those with faith to a comfortable constant. The real world might be changing, but there is at least this one—albeit irrational—thing that’ll keep them grounded. It’s comforting. It makes me smile when I see someone truly believe in something. I surely don’t have the same discipline. I’m easily swayed with logic and evidence, with lust and jealousy. That doesn’t mean I’m a bad person. That just mean I’m not religious… or even spiritual. Here is an example: I want to ask those who have withheld their virginity until marriage how they do it. How do they defy temptation? How do they even exist in this live-for-the-moment society? I want to ask these questions so that I can understand myself. I want to understand my own belief system. I want to be convinced. Yet, all I am at the moment is intrusive.